It's been a long time coming, but it seems like we might finally get a Top Spin successor on current-gen consoles. Tennis World Tour is set to be formally introduced at Gamescom 2017 in August, and I'm very excited about it. 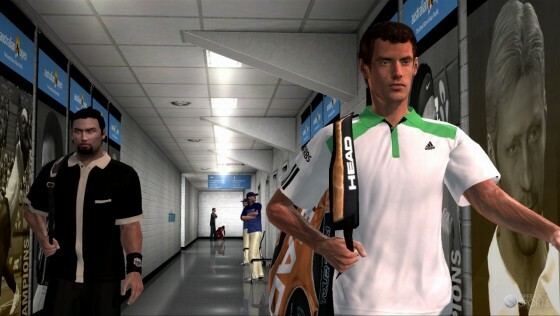 Game designer and former Top Spin 4 producer Pierre Andre advised: "For years, we have wanted to create a new tennis game, a spiritual successor to Top Spin 4. Technical evolutions now mean we can create the ultra-realistic simulation that we’ve been dreaming of." Tennis World Tour is rumored to include 30 playable tennis stars including current women's world number one Angelique Kerber, two-time major semi-finalist Gael Monfils, 2016 French Open Champion Garbine Muguruza, and even 18-time grand-slam champion Roger Federer. Benoit Clerc, Director of Video Games at Bigben, closed by saying, "We are proud to give all tennis fans a game worthy of their enthusiasm. The level of quality, wealth of content and game mechanics will ensure Tennis World Tour is one of the best sport simulations on the market." The console release is expected sometime in 2018. Now that we can take tennis off the list, is there anything you've been waiting to see transition to this generation of consoles? Yes it has been way to long for a new tennis game. My only concern is Big Ben. These are the ones who are behind Handball 16 & 17 As well as Rugby 15. These games are not well known in this country but trust me they are awful ! In addition their games are poorly supported as far as updates and patches. 2018 is a long way off so we can hope for the best. Yeah Big Ben and sports games.... ugh just ugh. I agree with Pipito but my main issue with Big Ben is that they clearly rush the games out and then offer no support (each patch costs money - and they said in forums before they wouldn't pay sony/Microsoft to patch their titles I believe). They really are all about the money... how can you have a Rugby World Cup game and not get licenses for all the teams... there are only 20 teams in it! You have a rugby game based on a Tournament and not get all 20 licenses... to be fair its bad enough that the game was only based on the World cup! To the OP I am surprised you didn't mention Grand Slam Tennis 2... that game did many many things right... Player Share and licensed Tournaments being 2... the game play was very good too in my opinion, for me its right up there with Top Spin. I'm definitely looking forward to seeing this one in action soon! Like others, I've been waiting for a few years now for a tennis game on this generation of consoles. I'm always a little skeptical of a completely new sports game, but I'm hopeful! Been waiting for a tennis game for awhile...hopefully this one will be good. I miss the Topspin games a lot. Not a big Tennis gamer, but did enjoy TS4, so looking forward to see what they can do on current gen.
Cant wait to see roster and screenshot! Loved that interview. I'm not worried about licensing of the slams. You can have that and play is wack. Get the gameplay right. If the goal is 30 stars, get good ones on both the men & women's side. You've gotta have Serena & Fed. Would also be cool though if they let us edit the rosters. We could create our own ATP/ WTA tour. Any word if it will be available for last gen consoles? And will it have players from the past as Topspin 5? hopefully they have fake names for the other players, so you can at least have a 128 player grand slam. Watch a gameplay video. This wouldn't even be a top spin 1 successor with how pathetic it looks. It's unfortunate that the best Tennis game out there (Full Ace Tennis Simulator) is a PC only game and the ones we are getting on consoles are shyte (AO Tennis) or potentially crap (Tennis World Tour).